A while ago, Josh Taylor of Blimey Cow (@dearfuturejoshon Twitter), posted a photo of 16 albums that were important to him. I’ve been following the Blimey Cow gang for a while, and since I just got Apple Music, I decided to listen to Josh’s list and write a blog post about what I thought. If you’ve read this blog before or listened to Spoilers Ahead, you know I do unbridled enthusiasm. If I like it, I'm gonna tell you why and how much. Without further ado, here’s what I thought of Josh's list. Relient K is one of those bands that I’ve grown up with and whose music has grown up with me. I actually encountered this album years ago (like, when it first came out) and it’s remained one of my favorites, not only of Relient K’s, but of all time. Seeing it here just made me really happy. Tonally, it’s got a bit of a folksy flair combined with Relient K’s classic guitar tone and lyrical mastery. Favorite tracks: “Over It,” “Forget and Not Slow Down,” “Sahara,” and “Therapy”. After Laughter was the first of the albums I got on Josh’s Twitter recommendation. 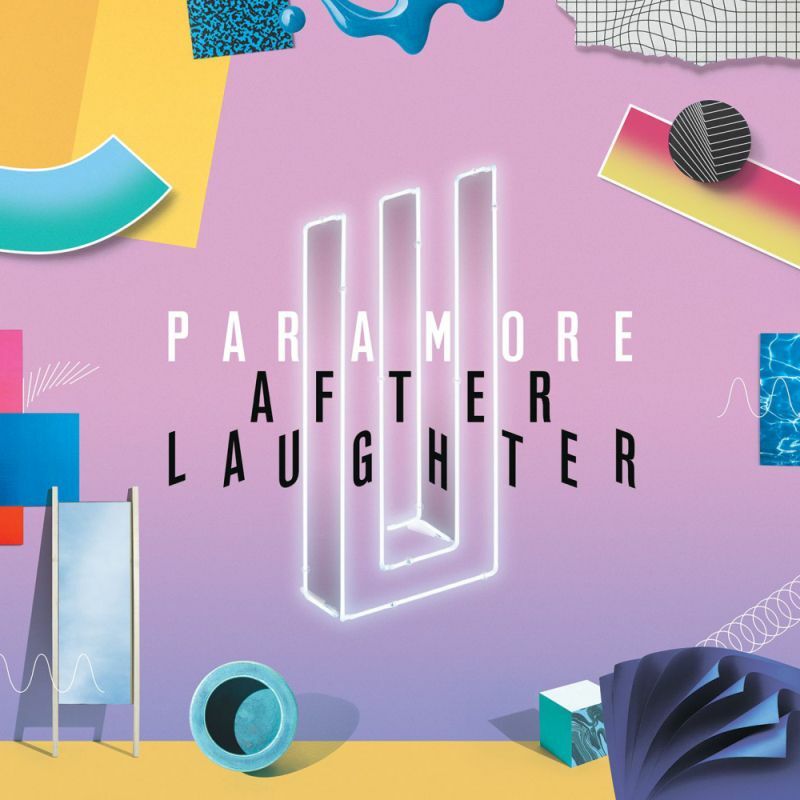 As someone with extremely high functioning depression and anxiety (that also swings toward the severe more than I am comfortable with), this album was like having a pop-laced heart-to-heart; it did the same soul-Velcro thing that Forget and Not Slow Down did when I was in high school. Every song felt like I wrote it, which is exactly what I needed when I first heard it. The whole album is catchy and laced with irony all the way through. And, just in case anyone thought Paramore “forgot their roots” (whatever that means), the song “26” takes the listener right back to the beginning and makes them remember what they are — young, scared, hopeful, resilient. Did I mention this album’s a jam from beginning to end? Soul Velcro: No, not yet. There was time circa 2012 when every Blimey Cow production (podcast, video, etc) had a little teaser of Rest. For totally indefensible reasons, I’ve only just downloaded this album. Its unashamedly Christian in the best way. It’s reasonably mellow, vaguely Lifehouse-esque. It’s easy to pray honestly while I’m listening to Rest. In that way, it’s like a collection of modern psalms. It reminds me of what Above the Golden State was going for. One of my favorite styles within alternative music is the acoustic rock song. This is an album full of ‘em: songs that sound like a producer could have insisted be pumping rock ballads, but that are allowed to breath as living room anthems (if you’re unfamiliar with the difference, listen to “A Day Late” by Anberlin versus its acoustic version). This is the kind of music I love to play and that makes me want to write contemporary choreography. Is this what happens when the generation that listened to Rise Against on the radio writes music? I surely hope so: clean harmonies, multiple guitars, simple arrangements that invite the listener to sing along. Copeland is one of those bands that’s always been on my radar, but that I’ve never listened to intently (or intentionally, since I’m sure I’ve heard their music in other people’s cars). Based on the people who I know who like them, I expected Copeland to be much heavier. I was pleasantly surprised by the thoughtful, introspective lyrics and gentle, floating musicality. Stylistically, the high male tenor combined with delayed guitars and a snare-heavy drum section has made this one of my new zone-out albums. I dig it. I dig it intensely. It’s the kind of music I can work to, write to, and ponder. Sarcasm is hard to convey in lyrics. This album does it and it’s great. The lines border on slam poetry, but the vocals are clear and clean enough to retain a clear melody (it stays away from the early La Dispute vocal style). Tonally, it’s got a really nice nineties influence combined with some pop punk vibes, in such a way that the irony and angst comes through without being misunderstood - in other words, I understood what was sarcasm and what was sincere on the first listen. Most importantly, what they critique are (often as not) things I need to be critiqued about. All that and it’s a great rock album. If nothing else, this album is full of great rock jams. I’m not sure if it’s going to be one of those albums that slowly climbs its way to the top of my favorites list or if it’ll always be a quality rock album that doesn’t quite stand out from the pack (for me). That being said, it was intriguing and made my morning (which involved dropping off my car to get new brakes) quite a bit better. As with everything on the list so far, the music is actually interesting: timing changes, dynamics, chord structure, etc. all contribute to a listening experience that rewards (but doesn’t demand) attention. I’m looking forward to listening to it another few times and seeing if it sticks. I was fully prepared to hate this album and to question Josh’s sanity. That being said, it’s such a great pop album. There’s nothing terribly complex about it, but it’s upbeat and lyrically clever. It’s the kind of music that makes me want to dance (which, at a job where I sweep the floor a lot, is pretty fun). Every single track is a bop, and the positivity is a nice break from my usual angst-laden fuel. It sounds like what I hoped pop-Taylor Swift would sound like, or if Halsey wrote a happy record. Some of the tracks have a serious Blondie vibe, and there’s nothing wrong with bubblegum pop. I’m stoked to have this in my mix. I started listening to this album on my way to work, and by the time I got there, I had started writing a song in this very style. This album is emotionally raw and tonally controlled, with vocal delivery that borders on rap versus spoken word most of the time (it also goes one way or the other on several tracks). Sometimes, music gets me excited because it’s something that feels familiar; this is one of those rare times that it opened up a door in myself I’d never really experimented with. 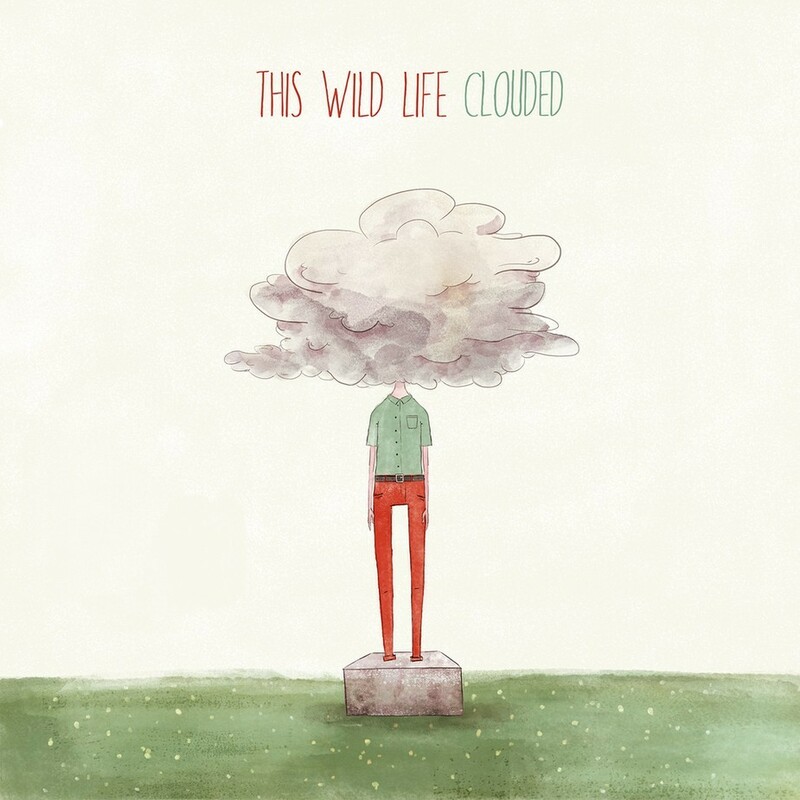 This album is competing with Copeland’s You Are My Sunshine and This Wild Life’s Clouded for favorite new discoveries doing this blog post. Tellingly, this is the kind of music that makes me want to make music. It invites conversation. After jamming House of Heroes’ self-titled album for a decade, I somehow never bothered to get more of their music. Thank goodness, that’s changed now. This album has more of their classic bass-heavy rock jams, building and sweeping in harmonies balanced the way they would be in a live performance. In other words, it sounds live and alive: energetic and full of blood, sweat, and tears. Its rare that a band puts the bass in front musically, but House of Heroes does so constantly. As a faith-based band, they thread the needle of my heartache - the longing for the future promised and the pain of being in this very moment (in other words, they sing about hope a lot). I’m thrilled I’m back on the train. If you’ll excuse me, I need to resume the subtle head banging this music deserves. Electronic-based music, for lack of a better way of putting it, doesn’t always sound musical. 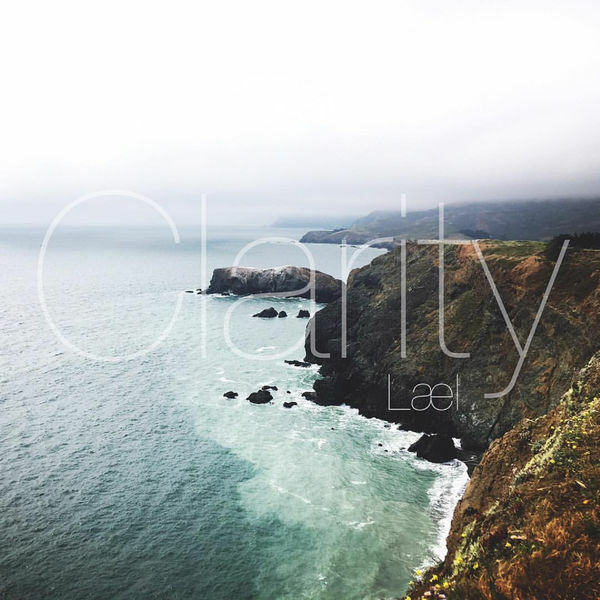 In this case, Lael really brings the musicality into the music, with neat little harmonies and vocal tricks. The instrumentation that’s there works really well, and lyrically, they’re solid (I understand just about all of the music Josh put on the list has solid lyrics, but I like mentioning it). It’s reflective and has a regal motif in the lyrics that I love. I don’t have many higher compliments: something about it makes me think about Narnia. It’s official: Copeland has become one of my favorite bands through this little project. This album is more reflective than You Are My Sunshine, and laced with the kind of Joy C.S. Lewis describes: it’s pleasurable, yes, but also painful; it’s a fulfillment that awakens longing. Tonally, this album is much more melancholy, and lyrically still hopeful. Without doing any homework on what inspired it, it sounds like the transformation of the singer from a single man to a husband: the longing for his beloved combined with the hope that he’ll be worthy in time. As someone who spent a lot of time listening to emo music, I love music that’s still got all the emotion but combines it with reflection. Cardinology sounds like it came out in 2002, and if it had, it would have been ahead of the curve. As it is, it has something close to nostalgia in its arrangement and tonal quality, with a distinct country flair. If I had to give it a letter grade, it would get an B+/A- objectively (there’s nothing about it to dislike), and I’m giving it a B for myself personally. I’ve always liked the few Ryan Adams tracks I’ve had (he writes songs that end up on movie soundtracks), and I’m glad to have it in the collection. Soul Velcro: The Jury’s Out. In a plot twist, Hebrews is weirder than the self-titled album, and weirder by a lot. It’s also the first album on this list that I looked up anything about (besides Forget and Not Slow Down, but that’s because I’ve been a Relient K fan for a long time). For one, there’s no electric guitar; instead, there’s orchestral arrangements with traditional rock drums (imagine if Elenor Rigby had a baby with The Clash), plus featured guest artists on every track. . Lyrically, there’s a lot about Judaism (surprise!) with Say Anything’s tongue-in-cheek approach. It’s more complex than I expected, and it’s interesting enough for me to spend the time I’ll need to with it. Bold move on a rock album: starting with the reflective, acoustic song that is normally reserved for track nine. That’s the kind of guts I dig. The Goodnight Moon, Pt. II more mature musically and vocally more controlled than Sweet Attention. It’s hard to explain how this one makes me feel. It’s almost like I’m hearing my favorites from high school over again for the first time, but it doesn’t feel like a throwback. Rather, it feels like I get to have the mind-blowing feeling again, which doesn’t happen with rock albums very often, not like it did the first time I heard We the Kings or Mmhmm by Relient K. I’m adding more of their music (as with Copeland) and this whole project would be worth it for Rookie of the Year alone. Stage Four - Touché Amoré (2016). When Josh tweeted me the list of albums, he gave fair warning: this album would be difficult to get through emotionally. Fittingly, I saved it for last and I’m glad I did. I thought it would be a quieter album (more along the lines of Copeland or Death Cab for Cutie), but instead it falls under the La Dispute level of rock, with lots of yell-singing and heavy bass. It gripped me from the start and didn’t let me go. Grief is like screaming, it is heavy and loud and shaking, and it is somehow also melodic. The jury’s out for me on the band, but Stage Four has instantly become an important album for me personally. And there you have it: 16 albums, one week, and a really fun time exploring new music. I hope you check out some of the albums as well. Enjoy! * Soul Velcro is that feeling when a piece of art (book, movie, music, whatever) just sticks to your heart in a special way. This happens with some things and not with others, even if they are really similar in construction, genre, etc. Soul Velcro, above all other critique, is subjective. Everything on this list stuck to Josh’s Soul Velcro - I decided to include whether it got to mine. And, of course, there’s always the possibility that something will grow on me over time.